Biodigesters turn food into electricity, but can they also create fertilizer? 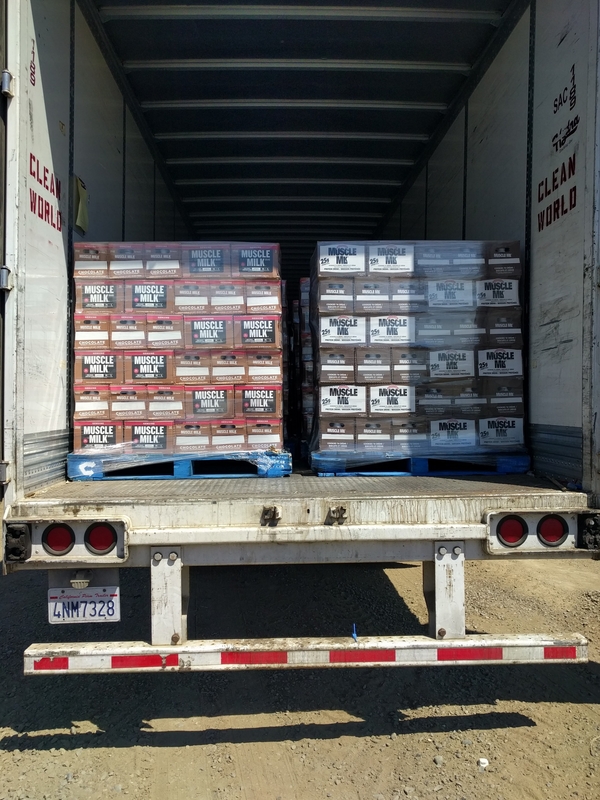 On a recent late-summer Wednesday, a freight container filled with cases of expired Muscle Milk protein drink awaited unloading at the UC Davis Renewable Energy Anaerobic Digester (READ) while a front-loader scooped heaps of spoiled vegetables into a mechanical processor. Nourished by a diet of assorted food waste from the UC Davis campus and area restaurants and markets, READ harnesses the activity of billions of microbes to produce biogas capable of generating 5.6 million kWh per year of clean electricity for UC Davis. But a by-product of READ and other anaerobic digesters – the slurry of leftover solid and liquid material, or digestate – has caught the attention of UC Davis researchers interested in “closing the loop” on food production, consumption, and waste. When processed through an anaerobic digester, organic materials like food discards, expired or off-spec food products, or animal manure can be transformed into concentrated biofertilizers and soil amendments that are highly effective and easily applied to crops. In an interdisciplinary collaboration at the Russell Ranch Sustainable Agriculture Facility, funded by the California State Water Resources Control Board and the California Department of Food and Agriculture, UC Davis faculty and students have developed a pilot-scale process for commercial production of several forms of this biofertilizer using digestate from READ and other nearby digesters. They are also evaluating their effects on yield and other agronomic metrics in corn and tomato field trials – paving the way for farmers and growers to take advantage of a highly sustainable source of plant nutrition. The digestate from READ and other digester facilities can be applied directly to soil as a fertilizer, but, because it has a limited shelf-life, it usually must be applied to land in the immediate region of the facility. With the input of food waste that can vary widely from day to day, a facility's digestate is inconsistent in texture and composition, making it difficult to transport and apply to fields using common farm fertilizer equipment. Filtering and drying this digestate, however, results in solid and liquid forms that can be concentrated, homogenized, easily transported, and applied to soil through existing drip irrigation systems or surface spreading equipment. This process could allow farmers and growers located further away, and working with common irrigation and fertilizer application equipment, to supplement or replace their synthetic fertilizer consumption with biofertilizers from food waste or animal manure. How do biodigestate products measure up to synthetic fertilizers? The research, co-led by professor Ruihong Zhang from the UC Davis Department of Biological and Agricultural Engineering (who also designed READ in partnership with Sacramento-based tech company CleanWorld) and Professor Kate Scow from the Department of Land, Air, and Water Resources, developed pilot-scale systems to efficiently and consistently separate the solid and liquid portions of food- and manure-based digestates. The researchers then examined the nutrient composition of the solid and liquid biofertilizer products, finding that biodigestate-based fertilizers contain valuable nutrients and microbes not found in many synthetic fertilizers. In current field trials, the researchers are investigating the effects of each of the biofertilizer products on crop yield and quality. Their preliminary results show that it is possible to grow irrigated processing tomatoes and short-season corn using biofertilizer products as the sole source of fertilizer. The origin of the fertilizer matters, however – manure-based liquid fertilizer formed additional large particles after the final filtration, creating concerns about clogging the drip irrigation system. The team thinks an environmentally benign chemical sometimes added to manure digesters to clean the biogas may be the culprit of the problem, but future research is needed. The solid biofertilizer pellets they developed show much promise, as they can be applied using existing methods for spreading compost and can be economically transported farther away from the digester. In addition to better understanding the best processes for producing and using the biofertilizers, further research is needed to understand how much of the nitrogen in each of the fertilizer products is available for uptake by the crop, as well as economic analyses to determine the commercial-scale production and transportation costs. The researchers will be able to narrow in on the agronomic and economic potential of biofertilizers through the upcoming analysis of the yield of the corn and tomato experiment plots at Russell Ranch. The results of a tomato experiment recently showed that the digestate fertilizers produced just as much fruit as a popular synthetic fertilizer. Russell Ranch, a program of the Agricultural Sustainability Institute, is designed as a shared space for interdisciplinary research and innovation. The biofertilizer research, among other active projects at Russell Ranch, is an example of the fulfillment of that intention. “The soil scientists are learning engineering, the engineers are learning biology, and the biologists are learning about soil,” Professor Zhang remarked. 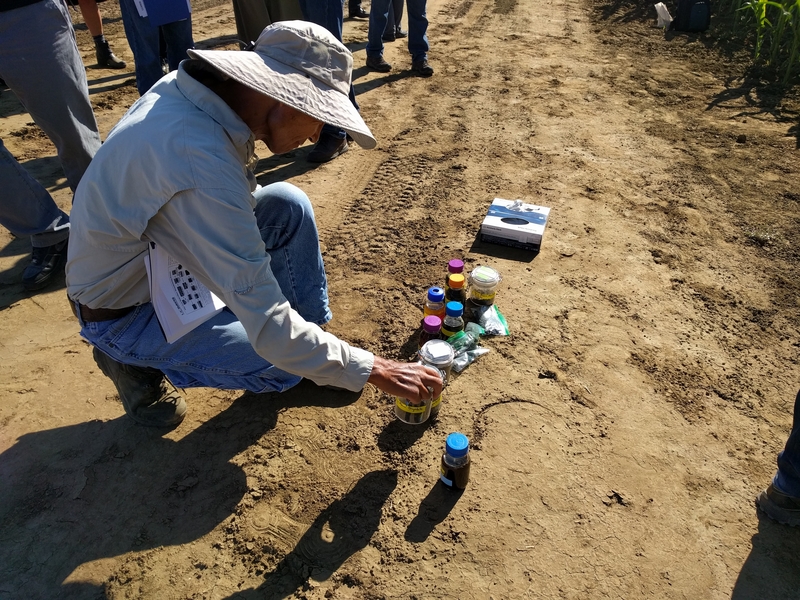 The exchange also extends beyond the university: a recent UC Davis Biofertilizer Field Day drew attendees from the UC Division of Agriculture and Natural Resources, several public agencies, the agricultural sector, other universities, nonprofits, entrepreneurs, and food processors. If the research continues to illuminate a way forward for biofertilizers, these audiences may fill important roles in bringing this new technology into practice – and in recycling your lunch leftovers back into a more efficient and sustainable food system. The UC Davis Renewable Energy Anaerobic Digester was unveiled in 2014 as the nation's largest anaerobic biodigester on a college campus, and represented a unique private-public partnership. Professor Ruihong Zhang invented the anaerobic digestion technology used by CleanWorld, which developed it into one of the most advanced commercially-available digester systems in the country. Russell Ranch Sustainable Agriculture Facility is a “living laboratory” for interdisciplinary field research and innovation. Its flagship project, the Century Experiment, measures the long-term impacts of energy, water, carbon, and nitrogen inputs on agricultural sustainability in the flagship Century Experiment. The biofertilizer research collaboration includes Zhang Lab graduate students Tyler Barzee and Hossein Edalati, Scow Lab postdoctoral researcher Daoyuan Wang, and Russell Ranch manager Israel Herrera. Collaborating institutions include CleanWorld, California Bioenergy, New Hope Dairy (Galt, CA), Fiscalini Dairy (Modesto, CA), and Sacramento Municipal Utility District. Thanks for this type of great article very helpful for local former of India. Biofertilizer improves the quality of soil and extends the production of crops.